The movie should just be Liam Neeson staring at the audience for two hours, just daring them to check their iPhones. 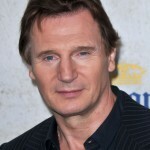 (Barring that, Neeson should also be the guy that kills Bin Laden in the Bigelow flick. Because that just makes the most sense, and would make people see it).